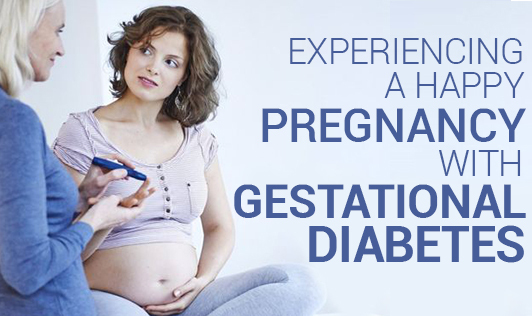 Gestational Diabetes Mellitus (GDM) is a condition that occurs during pregnancy. High levels of blood sugar can be found circulating in the system of the expectant mother in this condition. Gestational Diabetes occurs in about 7% of all pregnancies, resulting in more than 200,000 cases annually (ADA, 2001). Insulin is the hormone which is required to metabolize glucose in the body. During pregnancy, the mother’s body has to produce extra insulin to meet the needs of the baby. Usually, a pregnant woman produces 3 times more insulin than a normal person would. At the same time, due to the production of a lot of extra hormones in the body, there is a lot of insulin resistance too. GDM results when the mother’s production of insulin is not enough to overcome the effect of these hormones. It usually develops during the latter half of pregnancy. Gestational Diabetes can be treated by keeping the blood glucose level within the target range. Proper diet, physical activity, and insulin (if required) play an important role in maintaining blood glucose levels. Have small frequent meals (at least six meals a day). Include more fiber in your diet in the form of fruits, vegetables, whole grain bread, and cereals. Carbohydrates should be 40 to 45% of the total calories with breakfast and a bedtime snack containing 15 to 30 g of carbohydrates. Drink 8 to 10 glasses of liquids/day. Avoid trans fats and fried foods. Be fit and maintain a reasonable weight. Physical activity can help the mother reach her blood glucose targets. If it still proves unhelpful, take insulin as directed, if your doctor prescribes it. Insulin is not harmful to your baby. Excess growth: Extra glucose will cross the placenta, triggering your baby's pancreas to produce extra insulin, which means the baby will grow larger and therefore, there will be a chance of a C-section. Jaundice: The baby may develop jaundice and have breathing problems if he has to be birthed surgically. There is a good chance your child may contract type 2 diabetes later in life. Babies of mothers who have gestational diabetes have a higher risk of being obese later in life. Gestational diabetes is usually symptomless. Therefore, it is a must for all women to get tested between 24 to 28 weeks of their pregnancy. But on the upside, most women with gestational diabetes don’t remain diabetic after the baby is born. However, they can run a risk of contracting it again during future pregnancies and be more susceptible to developing diabetes when they age. To minimize this risk, take care to maintain a healthy weight, make healthy food choices, and exercise regularly. Breastfeeding may also help lower the risk.